You will see two tabs, General and Mail Flow Settings. Click the second one. Now, you can decide who will be able to message this contact. 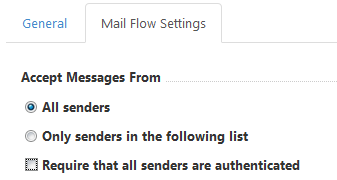 If you opt for Only senders in the following list, you should specify them in a corresponding field. If you thick Require that all senders are authenticated, any messages from senders that don't have valid logon credentials in your organization will be rejected. 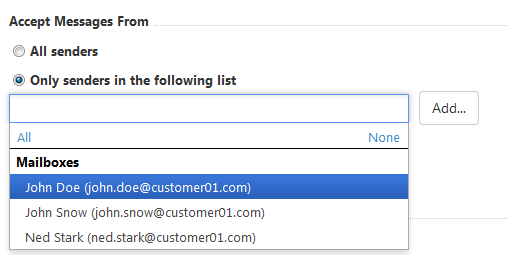 You can also choose if you want messages from certain addresses to be rejected by choosing the corresponding option.